Designed as a driving force for industrial progress: With the S-4 series, BOGE has managed a significant breakthrough - for energy consumption as well as in terms of noise emissions and ease of maintenance. The smaller power segments now also benefit from the intelligent design with clear delimitation of the functional areas. Whether it is 55 or 160 kW - all S-4 models have a premium compression stage (“IntegrateDrive”) developed in-house, which is designed for the highest degree of efficiency and virtually maintenance-free operation. 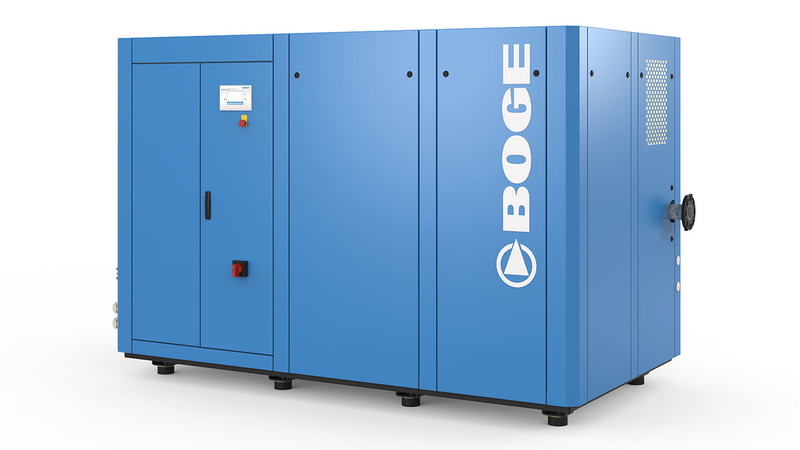 The latest generation of BOGE screw compressors sets all the benchmarks for continuous compressed air demand when it comes to the quiet, efficient and reliable production of compressed air. However diverse the operating conditions may be, with its robust technology, minimal internal pressure losses and the pioneering improvements to ensure maximum efficiency, the S-4 series quickly pays dividends anywhere.